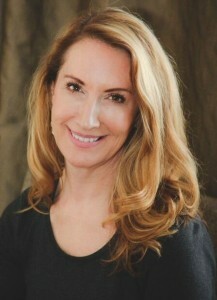 Allison Rees has been teaching LIFE Seminars courses since 1993. Countless parents and professionals attend these popular courses in Victoria through word of mouth alone. LIFE Seminars has become one of the largest and longest running parenting programs in the world running for over 30 years with an average of 100 parents attending each eight week course. Allison’s articles regularly appear in Parenting Today, Times Colonist – Family 411, and of course Island Parent Magazine with her monthly Cut it Outs. She has co-authored two books, Sidestepping the Power Struggle and The Parent Child Connection. Allison has been featured as the expert on various television programs and was the co-host of the Island Parent Radio Show for many years. Allison’s presentations are down to earth, honest and to the point. Lectures are packed with insights, humour and rich interactions with the audience. While her subjects are pre-planned, her lectures are not which is why people don’t tire of the material when they repeat the courses. She has supported thousands of families in this community and is rapidly expanding her knowledge to other professionals worldwide. Allison also facilitates a couple’s course and a workplace course which can be seen under course descriptions.